Clean your veggies and chop the potatoes into a 1/2″-3/4″ dice, and the onions and peppers into 1″ sections. Toss the vegetables with the Olive Oil, garlic powder, rosemary and generous amounts of salt and pepper. 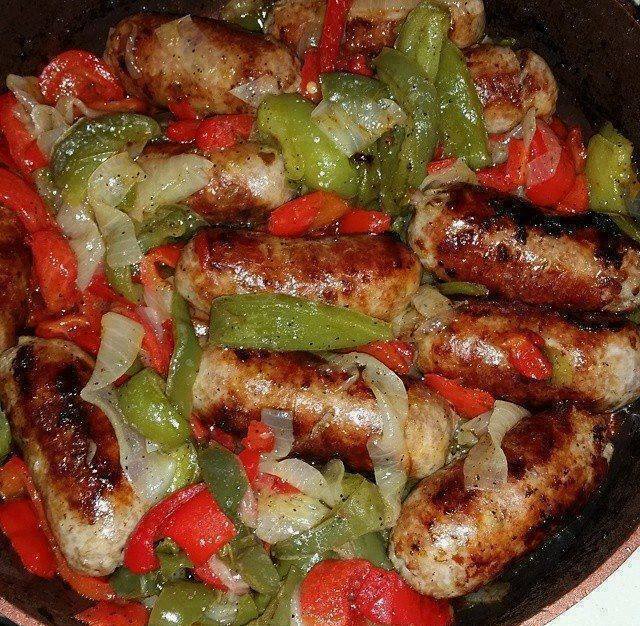 Cut the sausage links into 5-6 pieces each and set to the side in the refrigerator. Spread on a greased sheet pan and cook on 375° for 20 mins, remove from the oven and put the sausage on top and return to the oven for an additional 35 mins. Toss the mixture once or twice while cooking. Remove from the oven, toss together and serve. This is delicious on its own and wonderful with an egg however you like them cooked on the side!